Love your blog so much!!! I would love your opinion. The oval in the video attached (on the left) would you consider this a significant bow tie? Thank you! The diamonds look great in the video! 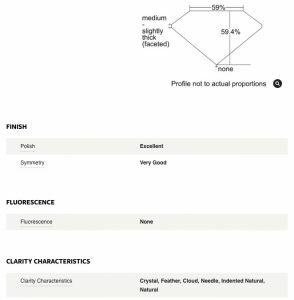 I do see the bowtie on the diamond in the left, however, it does not detract from the diamond, as far as I can tell. The important thing, is whether it bothers you or not! Thank you so much! It is a gorgeous diamond – it's around a 1.34 ratio and the price is great for the size, clarity and color! The depth is 59% so I do wonder if that contributes to the bowtie. 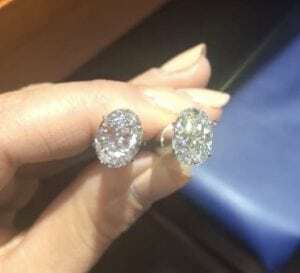 Keep in mind, if the cut is too deep, then you have less of a spread, meaning more carat weight below the diamond, which won't be visible to the eye when the diamond is set. Most women are very selective when it comes to their diamond! You are so right!!!! what depth do you recommend for ovals? so many things to consider – I do love this oval diamond so much and it has such a nice spread but that darn bow tie!!! In all fairness it's not visible in all lighting (see video attached – this isn't the right setting they just dropped it in a halo so i could see). 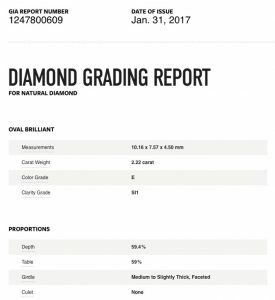 i swear i'll be a gemologist after this diamond search! I think the diamond looks great in the video. The bowtie appears minimal and not at all offensive, but if it bothers you, then you'll hyper focus on it! 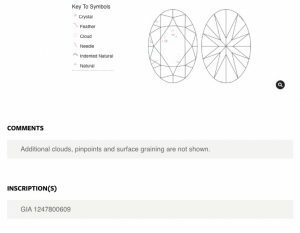 This oval diamond is a bit on the shallow side for its depth, you can go up to 68% depth with an oval, but then you loose out in the spread, which makes the diamond appear larger.